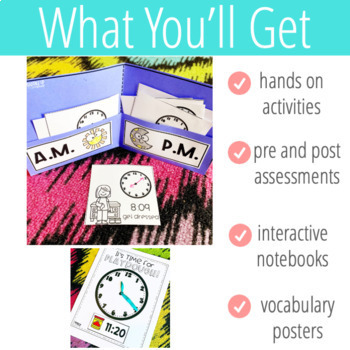 This unit was designed to introduce and reinforce telling time in 5 and 1 minute increments. 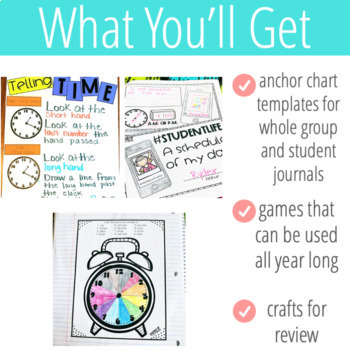 It includes 10 days worth of lesson plans to be used as a guide. 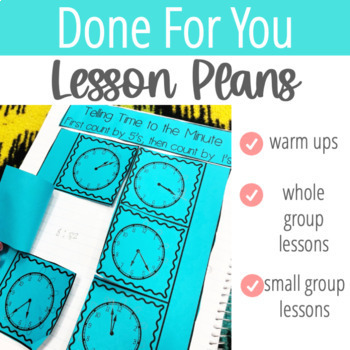 These plans follow a guided math format that include a warm up, mini whole group lesson, independent practice, and small group ideas for you to use in your classroom. All activities come in color and black and white. Center direction and recording pages are included along with answer keys. Since each state has different standards, EVERY ACTIVITY comes in a 5 minute option and a 1 minute option. 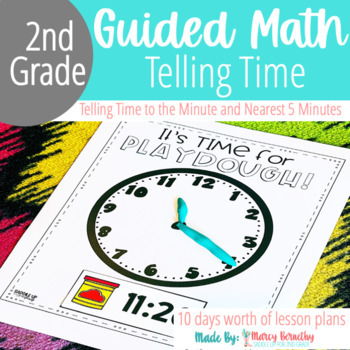 If you teach in a state that does not teach telling time to the minute, the lessons can easily be adapted with the same 5 minute activity.